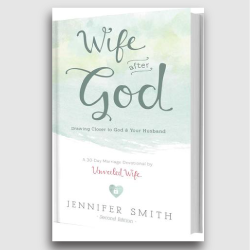 Wife After God is a refreshing and inspirational 30 day marriage devotional for wives who desire to have a deeper more fulfilling relationship with God and their husbands. 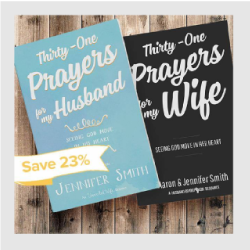 This devotional study was prayerfully composed with 30 days of biblical concepts and practical challenges to help you nourish your relationship with God and your relationship with your husband in marriage into ones that are captivating, intimate and extraordinary. 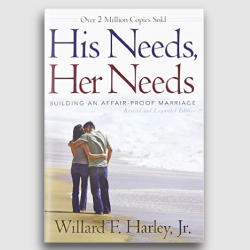 Every day you will be presented with a biblical topic to help draw your nearer to your God and your husband. You will find that as your relationship with the creator deepens so will your love for your husband. 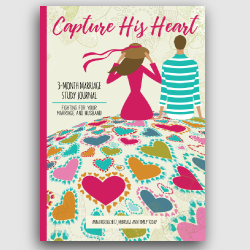 I wrote this marriage devotional to walk you through an intense journey of experiencing God, specifically tailored to one of your most important ministry roles–being a wife! Here are some scriptures that support the purpose of this devotional: James 4:8, Hebrews 10:22, Colossians 2:2-3 It is such a wonderful blessing to share this devotional with you. God spoke to my heart encouraging, assisting, and inspiring me to provide a resource that would draw you closer to Him and closer to your husband. I sincerely hope and pray this marriage devotional is revolutionary in the two most important and intimate relationships in your life. Be encouraged knowing that there are many more wives also experiencing the richness of this content, intentionally striving to be more holy as a child of God and as a wife; you are not alone in your struggles and you are not alone in your transformation of becoming the woman God wants you to be. This is an amazing journey and knowing that you are rallying with wives all across the world to make positive changes in your marriage should be empowering! 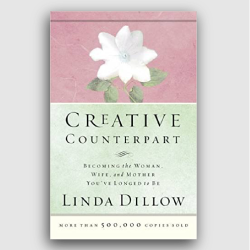 If this marriage devotional influences you and encourages you, please do not hesitate to share it with another wife. Thank you so much for taking the time to explore this marriage devotional, for being a wife after God, and for investing in your marriage. May faith, hope, and love abound, and may peace fill your heart!